Welcome to the greatest bassline in the history of the world. It’s the mind and fingers of Bernard Edwards who brought forth from the ether the funkiest of notes to this corporeal plane for Chic’s 1977 classic “Good Times.” It has formed the basis (bass-is! I slay me) for many other magnificent songs where the treble cowers in fear, including Queen’s “Another One Bites The Dust” and Grandmaster Flash’s “Adventures On The Wheels Of Steel.” And, of course, it anchors the first rap song to hit the US Top 40. Rap music had existed for years in New York City, but “Rapper’s Delight” took it national, into people’s cars and homes. It broke open the dam and almost immediately other rappers began shooting the rapids up the charts. Here’s how it happened. 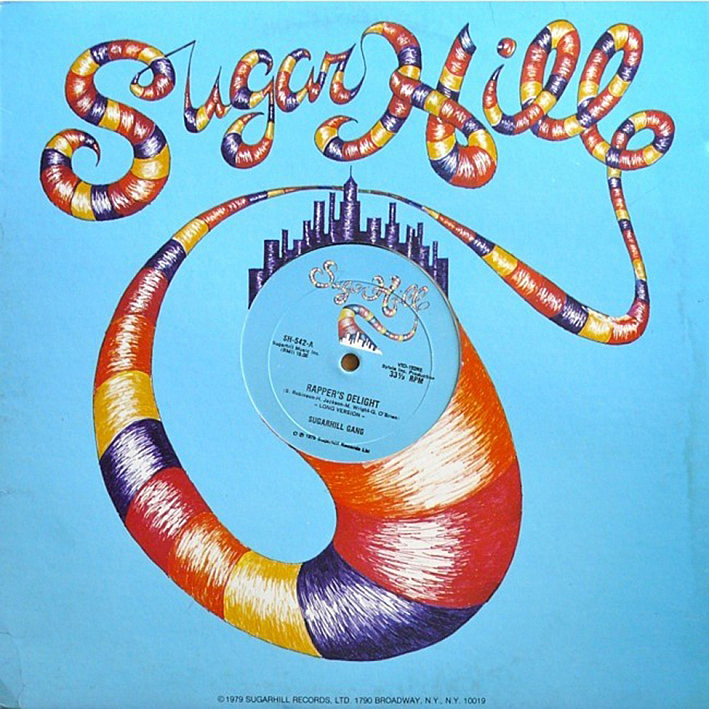 In 1979, Sylvia Robinson and her husband co-founded Sugar Hill Records in New Jersey (you may remember Sylvia from her strange days with Mickey). Noticing that her kids spent lots of time listening to this new-fangled style of underground music involving DJs and turntables at block parties and dance clubs, she decided getting in on the ground floor and releasing a record might be a good idea, both artistically and financially. Dolla dolla bill, y’all. One problem, though. The ‘live in front of an audience’ aspect – the call and response, the improvisation, the energy – was considered an integral part of rap, so none of the best-known rappers around NYC wanted to dishonor the culture they’d built by recording a track on tape. Sylvia solved this dilemma by rounding up a trio of unknown Jersey locals perfectly happy to record, and thus was born The Sugarhill Gang. With Robinson acting as producer, the untested trio headed into the studio. A couple of session musicians attended, as well – one to keep the beat, and one whose sole job entailed playing the bassline hook from “Good Times” over and over again for 15 minutes straight. 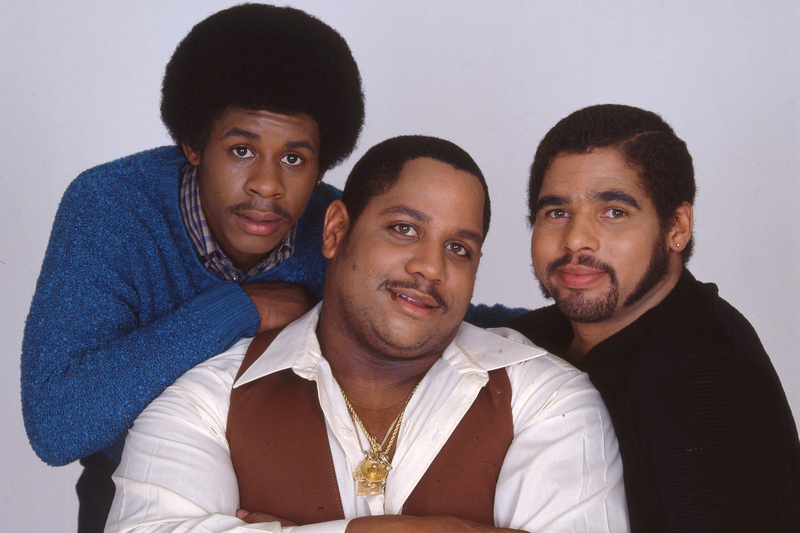 All the while the tape rolled and The Sugarhill Gang laid down their rhymes. This 15-minute version was released in its entirety as a 12″ single intended mostly for discos and block parties. But in an attempt to market the song to a wider audience, and maybe gain some radio play, a shortened 45rpm version was also released in September of 1979. Wise move. “Rapper’s Delight” went on to sell over 2 million copies in the US alone, peaking just inside the Top 40, and launched rap as a genre across the world. All because Sylvia Robinson thought it might be a good idea. And because that bassline has more magic than a wizard riding a unicorn in David Copperfield’s backyard. So it’s on, on and on and on and on – the beat don’t stop til the break of dawn. Very interesting about Sylvia Robinson! Music history isn’t exactly teeming with stories of women in producing and executive roles so it’s cool to read about one here. On another note, are you familiar with Vulfpeck? The bass player, Joe Dart, has nearly ruined other basslines for me. Excuse me for busting out an OMG, but OMG! I’m listening to Vulfpeck tracks on YouTube right now. These guys are ridiculously good. RIGHT?! One of the tightest bands going. And they always look like they’re having the time of their lives playing together, every single time. And did you come across the “Smile Meditation” video? Doesn’t get much better than that. I actually have tickets to see them in May! Which is pretty exciting because I’ve been following them for a few years now (“Beastly” was my introduction) and this will be the first time (that I’m aware of) that they’ve played anywhere near my neck of the woods. Woot! I watched all of their videos. I couldn’t stop! That bass player is like a funk robot — he’s unbelievable. They look like they’ll put on a really fun show. Have a great time! He really is unbelievable! They are all incredibly skilled musicians but I’m particularly looking forward to seeing/hearing what groove master Dart lays down.